On 5 October, after more than 20 years of negotiations and debate, 16 countries sign the European Patent Convention. This multilateral treaty creates the European Patent Organisation and the European Patent Office (EPO) and provides for an autonomous legal system to review and grant European patents. When the EPC comes into effect in 1977, applicants can file a single patent application with the EPO that, if granted, is applicable in all the member states that they choose. Member states retain the right to enforce and revoke individual patents. The EPC greatly reduces fees and paperwork associated with filing in several European countries. Previously this required costly translations and time-consuming search and grant procedures in each country. The EPC's precursors include the Paris Convention of 1883, one of the first intellectual property treaties and still in force today, the Patent Cooperation Treaty (PCT) signed in 1970, though it did not enter into force until 1978, and the International Patent Institute (IIB),subsequently integrated into the European Patent Organisation. To implement the EPC an Interim Committee is created. Headed by German Patent Office President Kurt Haertel, the Committee is entrusted with recruiting staff and organising the infrastructure necessary for establishing the European Patent Office (EPO). The EPO first opens the doors at its temporary headquarters in the rented Motorama building in Munich on 2 November. For more than three years after the signing of the EPC, the Interim Committee had carefully examined the practicalities of setting up and staffing an international patent office. The EPO initially recruits 98 essential staff. Many patent examiners are needed and they are a rare breed - rare enough that a French delegation questions whether enough can be found in time to operate the EPO. Thanks to a concerted recruitment effort, the EPO is able to quickly increase its staff complement. Johannes Bob van Benthem is elected as first President of the EPO and remains in office until 1985. Formerly a lawyer for the Netherlands Patent Office and later its President from 1968 to 1977, van Benthem is one of the key figures who helps pave the way for the European Patent Organisation and the EPO. Many of the texts fundamental to the EPO, including the EPC, bear his hallmark. Throughout the EPO's early years, van Benthem helps give further momentum to the Office's rapid development and ensures that top-calibre staff are in place when the first European patents are granted in 1980. A further milestone in his presidential career is the 1983 inauguration of trilateral co-operation between the US Patent and Trademark Office (USPTO), the Japan Patent Office (JPO) and the EPO, which lays the groundwork for today's international patent system. A dedicated European, van Benthem is awarded honorary doctorates by the law faculties of Munich and Strasbourg Universities. He passes away in 2006 at the age of 85. The International Patent Institute (IIB) in The Hague and its 714 employees are merged with the EPO. The IIB had been established in 1947 to manage patent searches for Belgium, France, Luxembourg and the Netherlands, with five more countries joining later: Turkey (1955), Monaco (1956), Switzerland (1960), the United Kingdom (1965) and Italy (1974). As part of the EPO, the IIB is responsible for examination on filing, documentation and prior-art patent searches. The EPO opens its third office in a historic building in Berlin that formerly housed the German Imperial Patent Office. The Berlin sub-office is an extension of the EPO’s branch in The Hague and also handles patent searches. During the Cold War, Berlin symbolises the clash between East and West, and the choice to locate a third EPO office in the city was, at least in part, politically motivated. When the Berlin Wall falls in 1989, the city becomes an emblem of a new era in European and world politics. The Standing Advisory Committee before the EPO (SACEPO) is set up to give representatives from industry and the patent profession a voice in the development of the EPO. The EPO inaugurates its headquarters in the Isar building in Munich on 16 September. The selection of the site on the banks of the River Isar in the heart of Munich is not without its critics, who protest at the destruction of housing and the displacement of inhabitants. However, after more lavish aspects of the original construction plans are scaled down, most criticism dissipates. By the time the building opens its doors, it receives a warm welcome. The location is not only symbolically important - the proximity of the German Patent Office and the Deutsches Museum (German Museum) creates a "technology triangle" - but is also a practical consideration. With the German Patent Office nearby, important patent information can be quickly transferred between the two buildings. This is especially important before patent files are digitised in the late 1980s and the 1990s. The Isar building has a total floor space of about 81 000 m2 to accommodate 1 200 employees. This includes 27 meeting rooms that can seat groups of various sizes, from 15 to 450 people. To meet the needs of working in several languages, 23 of the meeting rooms are equipped with simultaneous interpreting facilities. The building even has a special file conveyor system to speed up transportation of the vast amounts of files that are processed. In January, the EPO grants its first patents. The very first is for a device that determines if coins placed in parking meters and train-ticket machines are authentic. The EPO is funded solely through procedural fees and a proportion of the renewal fees for granted European patents. Faced with a dramatic rise in the number of patent applications in the early 1980s, the EPO and the US and Japan patent offices meet in Washington at the first Trilateral Conference and agree to facilitate the rapid exchange of patent data. First successes of trilateral co-operation include the BACON (BAckfile CONversion) project. Initiated in 1984, BACON aims at converting all patent documents issued after 1920 into digital format and creating a common database. Among other achievements in subsequent years, the Trilateral has developed a network for exchanging priority documents (Trilateral Network) and an electronic exchange format for priority documents (PDX) and has created a common patent application format. The three offices, which together account for nearly 70% of all PCT patent filings worldwide, continue to meet at an annual conference - and at other working-level meetings - to further the harmonisation of patent processes, practices and tools. This material is held in the search division archives at the EPO’s branch in The Hague. The classification scheme contains 77 000 headings. Paul Braendli takes over the reins as President from Bob van Benthem, a position he holds for the next nine years. A former Swiss patent attorney and head of the Swiss Patent Office, Braendli plays a crucial role in defining the scope of the EPO as it quickly grows, more than doubling its staff during his tenure. Important achievements under Braendli's leadership include the strategy document Horizon 2000, which helps define the organisation's key objectives going into the new millennium. Braendli also oversees the integration of the Vienna patent documentation centre into the EPO fold, the establishment of a Brussels bureau for closer interaction with the EU, and the advance into digital storage technology at the EPO. The EPO, the JPO and the USPTO begin scanning and converting 41.6 million patents from paper into digital form. The BACON (BAckfile CONversion) project is one of the cornerstones of trilateral co-operation between the patent offices. Originally involving only eight examiners, the BEST (Bringing Examination and Search Together) pilot project explores having an individual examiner perform both prior-art search and substantive examination, which are normally carried out by two different examiners in separate locations. The scope of the BEST project increases gradually until it is adopted Office-wide in 2002. Ushering in a new age of digital archiving, the EPO begins storing applications on CD-ROMs under a programme entitled ESPACE (Electronic Storage of Patent Applications on CD by the EPO). The EPO is not only the first international patent office to begin storing information on CD-ROM; when it begins issuing two CD-ROMs per week with a production run of 300 it also becomes one of the world’s leading publishers of CD-ROMs at the time. Switching to a digital format allows it to cut costs by an estimated 20%. This forward-looking strategy document addresses the rapid growth of EPO member countries and the Organisation’s distribution over three (and soon four) locations. Horizon 2000 develops a list of five guiding principles for the EPO as well as looking at how bureaucracy can be reduced. Most importantly, it examines how the EPO can best serve its members in the wake of immense changes in Europe: the fall of communism and the privatisation of many traditionally publicly-owned sectors. After the production of the first ESPACE CD-ROMs two years earlier, the EPO becomes increasingly aware of the importance of distributing digital patent information to a wider audience, especially to businesses performing prior-art searches. To help fill this need, the EPO integrates the International Patent Documentation Center (INPADOC) into its information services and sets up a new Vienna sub-office, which opens on 1 January. INPADOC had been launched by the Austrian government and the World Intellectual Property Organization (WIPO) in 1972 as a patent information product company. When it becomes part of the EPO family it already has nearly two decades of experience providing patent search and documentation services. Its databases hold more than 95% of all patent documents published around the world. Monaco joins the European Patent Organisation. 500 000th patent application is published. 200 000th patent is granted. All EU member states are now also EPC contracting states. To facilitate communication with the European Union, the EPO establishes a bureau in Brussels. Although this office does not intervene directly in EU-run processes, the EPO delegation acts to represent the voices of both its EU and non-EU members. In the mid to late 1990s, the role that the Brussels Bureau plays increases significantly as the controversial issues of both genetic engineering and software patents come to the fore and a unified framework is necessary. In more practical matters, the EPO supports the establishment of the long sought-after European Unitary Patent. To extend its presence in the city, the EPO purchases a building in The Hague that formerly belonged to the Shell Corporation. With the Shell building, the EPO now has three offices in the city. The EPO's computerised query service EPOQUE (EPO QUEry service) enables patent examiners to quickly look through important documents, giving them access to over 10 million documents in 1995, a number which will more than triple within three years. The system soon allows examiners to search over 120 databases, including the EPO's own, those of the USPTO and the JPO and the Derwent WPI and WPIL databases. Particularly innovative is the optical character recognition (OCR) technology of the EPOQUE II viewer, designed to scan 18 million pages of patents published in English, French and German at a maximum error rate of 2% per page. Developments like this help make the query service the most advanced search system in the world. The EPO develops and initiates a special fast-track search and examination procedure. Ingo Kober, former State Secretary of the Federal German Ministry of Justice, is elected as the third EPO President. The construction and expansion of the PschorrHöfe complex in Munich is the most visible sign of Kober's legacy as President for more than seven years. Yet his effects on the practical aspects of patent filing and searching are no less significant. He is a key advocate of full implementation of the BEST programme and ensures that BEST is applied as the Office's standard procedure. Kober oversees tremendous growth in the EPO's searchable digital databases, which by the beginning of the 21st century grow to 20 terabytes of data on 20 servers. He advocates greater accessibility of patent information to the general public and sees the EPO's new website (1995) as "part of the democratic process, offering access to a unique source of information." By the time Kober leaves office, the first former Eastern Bloc countries have joined the EPO and the Office is handling more than 170 000 patent applications per year. The Espacenet search engine has undoubtedly done more than any other single product to change the face of patent information. When launched, it makes nearly 30 million patents accessible free of charge. The information on offer covers virtually all of the technical knowledge documented in patents. This means that for the first time companies worldwide - including Europe's small and medium-sized enterprises - as well as inventors, research institutions and universities, have free access to the most comprehensive range of patent information available on the internet. In its first year of use, Espacenet generates some 70 000 page requests per day. By 2013, this grows to 1.6 million per day. The European Patent Litigation Agreement (EPLA) is a far-reaching but ultimately unsuccessful attempt to create an integrated judicial system to adjudicate patent law cases among EPO member states. It was designed to create the legal apparatus for a long sought-after Unitary Patent. In 1999, a Working Party on Litigation is set up among EPO member states to look into the practicalities of creating a centralised patent judicial system. Despite making significant headway, the EPLA is dropped in 2007 after the European Parliament determines that EU member states could not participate. The EPC's 20 member states and 12 observer states, along with the European Commission and 12 intergovernmental organisations, meet at a conference in November. The conference seeks to incorporate recent developments in international law into the EPC and add a new level of judicial review allowing patent applicants to challenge rejections due to procedural errors. Changes are also made to improve the legal position of patent applicants and proprietors by introducing a central limitation procedure which allows them to request limitation or revocation of their patents at any time. The revisions to the EPC become known as the EPC 2000 and enter into force in 2007. EPO member states create an optional additional agreement to help reduce translation costs. Under the agreement, patent applicants from seven European countries with English, French or German as one of their official languages no longer have to translate their patents into other languages if applying for a patent in one of these seven countries. Other countries simplify translation requirements, by allowing some or all of the necessary documents to be written in or translated into English. The EPO launches a new era of internet services and receives its first electronic application via epoline on 8 December. The system consists of several independently-operating components and ensures that the vast majority of communications between the EPO, applicants and the general public can take place via the internet. The EPO expects the online filing procedure along with a new printing agreement to result in annual savings of EUR 3.5 million in paper and publication costs. The number of online applications per year rises sharply from 750 filings in 2001 to over a quarter of all filings by 2006. At the end of 2002, about 2 000 examiners are working under the new BEST system as it is introduced Office-wide. In less than two years, 90% of all EPO patent examiners conduct both the search and substantive examination portions for each of their dossiers. The programme is one of the most substantial changes implemented at the EPO and greatly increases application processing turnaround. In July, French academic and politician Alain Pompidou is elected as the EPO's fourth President. Pompidou has doctorates in medicine, science and biology, and is a former professor of histology, embryology and cytogenetics at the University of Paris. He had also served as the vice-president of the Ethics Committee of the Human Genome Organisation (HUGO) and been a member of the European Parliament, where he dealt with issues concerning the legal protection of biotechnological inventions and bioethics. Pompidou's expertise in medical and biotechnical issues is particularly important as the subject of "patents on life" - genetic engineering and biotech patents - becomes contentious. Pompidou's leadership lends additional weight to the EPO's consistent application of European Parliament Directive 98/44/EC and the EPC treaty in determining the patentability of biotechnological inventions. The EPO establishes the European Patent Academy to educate and train a diverse audience, including patent professionals, judges, public servants, business managers and academics, who deal directly with intellectual property issues and the patent system. During its first year, the Academy attracts some 3 000 participants to its courses. It later grows to include roving academic workshops for as many as one hundred universities, and in 2007 it commissions an e-learning system for education outside the formal classroom setting. The Academy now offers hundreds of seminars and training events to inform national patent offices, patent professionals and governmental institutions on the latest developments in the European patent system. Specialised judicial training events help lawyers and judges exchange information about best practices and new ideas in the sphere of patent litigation. Participants from the private sector learn about a wide range of patent-related topics, from registration through IP valuation. To help further streamline the patent system, the EPO holds three conferences with representatives from leading groups of patent system users: small business, industry and the finance sector. The conferences educate users on how the patent system works and help them identify the issues most important to them: reduction of patenting costs, the creation of a European patent judicial system and improved procedural transparency. One of the first and most significant projects undertaken by EPO President Alain Pompidou - begun before he takes office - is a far-sighted investigation of what the patent system might look like in 20 years. Through a series of interviews with patent system users, experts and critics in many countries, the study shows how the patent system is inextricably linked to social, economic, technological and global political trends. The full results of the project are released in 2007 and explore four scenarios, each with a different aspect as the primary driver for development in the patent system: business, geopolitics, society or technology. A gala ceremony in Brussels honours top inventors whose creative ideas have had far-reaching effects on technological innovation and economic growth, and who have helped shape and improve our daily lives. The European Inventor Award ceremony, called the European Inventor of the Year award until 2010, attracts some of the world's brightest innovators along with decision-makers in business, government and the sciences. National presidents, EU politicians and royalty are among those who attend the event and present awards. By passing the European qualifying examination (EQE), candidates are entitled to use the designation "European patent attorney" or "professional representative before the European Patent Office" and act in patent matters under the EPC. The exam, established in 1979, is one of the most difficult professional examinations in Europe and has a first-time success rate of only 30-40%. The emergence of two new major players on the global patent scene - China and Korea - along with a continuing rise in patent filings and corresponding workloads leads to the formation of the "IP5": the three Trilateral Offices (EPO, USPTO and JPO) plus the patent offices of the People's Republic of China (SIPO) and South Korea (KIPO). At a meeting in October, the group identifies 10 projects which can be developed to help harmonise search and examination and standardise the information-sharing process. These projects continue to be cornerstones of the IP5. The IP5 meets yearly and since 2011 has published annual statistics on patent applications and grants. The former head of the UK Patent Office Alison Brimelow takes over as EPO President from Alain Pompidou, as part of a joint candidacy agreement that allows each of them a three-year term. Brimelow places importance on improving and ensuring the high quality of patents and applying more stringent criteria to guarantee that applications are drafted in accordance with EPC standards. Some of the substantive changes she ushers in include a cap on the number of independent claims a patent can have and the opportunity to ask for clarification on these claims before examination begins. During her tenure IP5 co-operation is launched. The changes to the original EPC treaty agreed at the Munich Diplomatic Conference in 2000 are officially adopted into the EPC and take effect. The optional London Agreement of 2000 on reducing translation requirements enters into force on 1 May. It is immediately applicable in 14 of the EPC contracting states, through either ratification or accession, and later in five additional countries. A joint study on the relationship between patents and the development and transfer of clean-energy technology is launched by the EPO, the United Nations Environment Programme (UNEP) and the International Centre for Trade and Sustainable Development (ICTSD). The study yields important insights that can help create better-informed policy-making in support of climate-change mitigation technology. It also leads to the development of a new dedicated classification scheme for "green" patent documents, making it easier to locate documentation in the field. The final report is presented in Brussels on 30 September 2010. Frenchman Benoît Battistelli becomes the EPO's sixth and current President. Before taking up the post, Battistelli was Director General of the French National Institute for Industrial Property (INPI) and Chairman of the European Patent Organisation's Administrative Council. Earlier in his career, Battistelli held positions in the French Economy and Finance Ministry, worked as a Regional Director for Foreign Trade for the Paris-Ile-de-France region and served as a Chief Advisor to the President of the European Parliament. Battistelli has identified maintaining a crucial balance between inventors' and industry's interests and those of society and the economy as being of paramount importance in the emerging 21st century. He looks to provide maximum transparency on the criteria the EPO uses to determine patentability, and to further increase the broad dissemination of patent documentation. During Battistelli's presidency, the EPO signs an important agreement with the USPTO to harmonise their classification systems and launches a state-of-the-art online patent translation service. In order to promote greater harmonisation of patent classification and migrate towards a common classification scheme, the USPTO and the EPO agree to launch a Cooperative Patent Classification (CPC), a new joint classification system for patent documents. Based largely on the EPO's ECLA scheme and incorporating the best practices of both offices, the CPC makes it possible to conduct more efficient and targeted patent searches. The EPO provides a web-based consultation platform so that patent system users can participate in the law-making process of the European Patent Organisation. The EPO posts draft amendments to European patent law and practice, and users are invited to respond in surveys on the proposed changes. Capping decades of work towards the establishment of a truly Europe-wide patent, an agreement on the establishment of a European Union patent, or Unitary Patent, is reached during a European Council meeting on 28-29 June. Leaders of 25 of the 27 EU member states agree to the legislation necessary for the Unitary Patent's creation. This legislation is later approved by the European Parliament in December. Once established, a granted unitary patent will be valid in all participating countries and, unlike the existing European patent, will no longer be a collection of nationally enforceable patents bundled together. The system will reduce translation and maintenance fees and will also create a unified patent court for all participating countries. For the Unitary Patent to enter into force, 13 states (including Germany, France and the United Kingdom) need to ratify the Agreement on a Unified Patent Court, drafted by the Council of the European Union in early 2013. The EPO's machine translation service, Patent Translate, removes language barriers to patent information. Soon after its launch, the automatic translation service, which is powered by the most advanced machine translation technology available, covers more than 90% of all patents in Europe in 13 European languages, plus Chinese. In 2013, the number of available languages offered grows to 22, with ten more scheduled for implementation before the end of 2014. Tackling the last major hurdle for the adoption of a Unitary Patent, all but two EU member states sign the Agreement on a Unified Patent Court, Spain and Poland being the exceptions. The Unitary Patent is now set to enter into force at an unspecified date after 1 January 2014. A group of amendments still require approval by the European Council and Parliament. A committee charged with creating a roadmap for establishing the Unified Patent Court indicates that early 2015 is a realistic target date for the court and the Unitary Patent to take effect. The CPC is officially launched at both the USPTO and the EPO on 1 January. 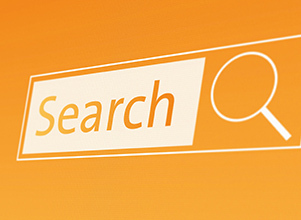 The EPO's Espacenet online search tools switch over from ECLA to CPC, allowing for more efficient prior-art searches. The CPC includes around 250 000 symbols, making it the most refined scheme available for classifying inventions. Its implementation boosts efficiency through work-sharing initiatives and helps reduce unnecessary work duplication. In June, the Chinese Patent Office (SIPO) signs a Memorandum of Understanding stating that it will start publishing some of its patent documentation using the CPC after receiving dedicated training on the classification system from the EPO. SIPO will strive for full-scale adoption of the CPC on all new invention patent applications as of 2016. The new building replaces the tower that has housed the EPO in Rijswijk since the 1970s. The modern design places a strong focus on sustainability and incorporates the latest environment technologies for buildings, such as a solar energy plant and Aquifer Thermal Energy Storage. In addition to minimising impact on the environment, the New Main will ensure a state-of-the-art, healthy, safe and comfortable office environment for the EPO’s staff. The Global Dossier builds on the groundwork of the IP5 offices - a forum for co-operation among the patent offices of China, Japan, Korea, the US and the EPO aimed at modernising the global patent system. The service uses an IP5-agreed standard to retrieve on demand, via the European Patent Register, SIPO file-wrapper content for Chinese applications also filed at the EPO. It performs an automatic machine translation when Chinese documents are requested in English. The scheme benefits companies and inventors seeking patent protection in Europe by ensuring timely delivery of all search reports and opinions on their applications, giving them a sound basis for their patenting strategies early on. It also benefits the general public by enhancing the transparency of pending patent rights in Europe, providing an overview of prior art and patentability at an early stage in the proceedings. ISO 9001 certification is an internationally recognised standard for quality management systems. The process of certification requires senior management engagement, solid processes and monitoring as well as staff commitment. The tenth European Inventor Award ceremony takes place on 11 June 2015 at the Palais Brongniart in Paris. 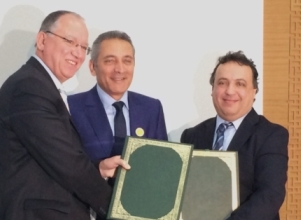 Morocco becomes the 41st country for which patent protection can be obtained on the basis of a European patent application. Under the validation system, anyone filing a European patent application can request validation for Morocco and pay a validation fee. European applications and patents validated for Morocco have the same legal effects there as Moroccan ones, and are subject to Moroccan patent law. Previously published only internally, the Service Regulations have been made available to all stakeholders and potential job applicants. Their publication puts the EPO on a par with other leading international organisations in terms of the transparency of its internal regulatory framework. Ranging from recruitment to retirement, and including staff rights and obligations, the career system, working conditions, and remuneration and benefits, the regulations provide a detailed legal framework for employment at the EPO. The position of BoA President was introduced as one of the main pillars of a package of measures aimed at increasing the efficiency of the Boards and enhancing the perception of their independence. Under powers delegated by the President of the EPO, the BoA President is responsible for the BoA Unit, in both its administrative and judicial aspects, and is answerable directly and solely to the Administrative Council. Since 2007 the world’s five largest patent offices - the EPO, the JPO, the KIPO, the SIPO and the USPTO - have worked hard to make access to the patent system straightforward and give innovators from all five regions greater legal certainty, as part of their overriding aim to improve services for users and the public alike. The Trilateral Offices (EPO, JPO, USPTO), which launched their co-operation back in 1983, have pioneered electronic data exchange and set global standards in this area. Recent achievements have included the development and continued improvement of the Common Citation Document (CCD) service, which provides easy web access to results from patent searches carried out by multiple offices for the same invention. Following an agreement between the EPO and Tunisia, as of 2017 European patents can be validated and thus regarded as national Tunisian ones. The EPO also signs an agreement with Cambodia (in force as of 2018) allowing European patent applications and patents to be validated there, its first validation agreement with an Asian nation. The EPO publishes its first ever Quality Report, an annual review of how the Office implements its quality policy in all of its products and services, and again achieves ISO 9001 certification for the entire patent process.